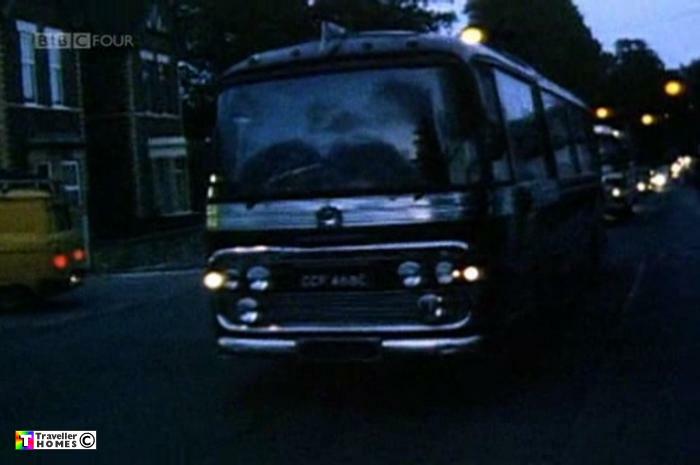 CCF468C (1965) Bedford VAL14 . Plaxton Panorama C49F. Ex-Morley . West Row . Seen 1985 Pilton . Somerset . On it's way to Worthey Farm after the Beanfield . Photo = BBC4 Festival Doc.